Square allows you to quickly swipe payment cards on your mobile device. The Square magstripe reader is compatible with the latest version of the Square app on any supported device. Open the Square app and firmly plug the card reader into the device’s headset jack or Lightning connector until you hear a click. Note: You may need to remove your device case or cover to fully connect the reader. Add items to the current sale or tap the keypad icon to add custom amounts. If you’re using a supported bar code scanner, you can scan an item’s bar code with a SKU saved to your item library. 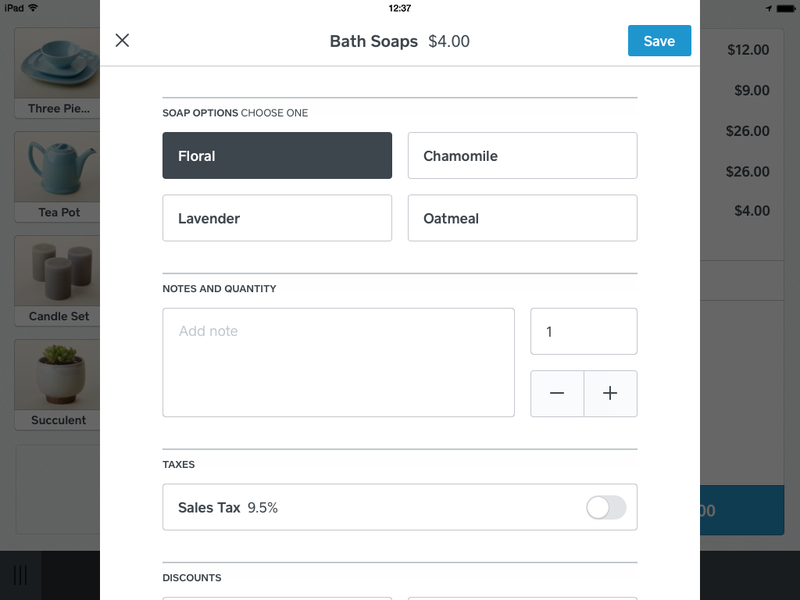 Tap an item in the current sale to add a description, create modifications, change the quantity, and apply tax. Note: At least $1.00 needs to be charged to process a card payment. Swipe the card smoothly and quickly through the reader with the magnetic strip facing the thick side of the reader. To split a payment between multiple payment methods, use Split Tender. If you have signatures enabled, have your customer sign with their finger. Your customer can also leave a tip if tipping is enabled. To cancel the payment before it’s been processed, tap the X icon or the back arrow to return to the previous screen. Tap Done Signing, and pick the customer’s preferred receipt option. With a supported receipt printer, you can also print a receipt and/or kitchen ticket. After a payment completes, the final screen will read All Done. If you have trouble swiping with your reader, try these troubleshooting tips. 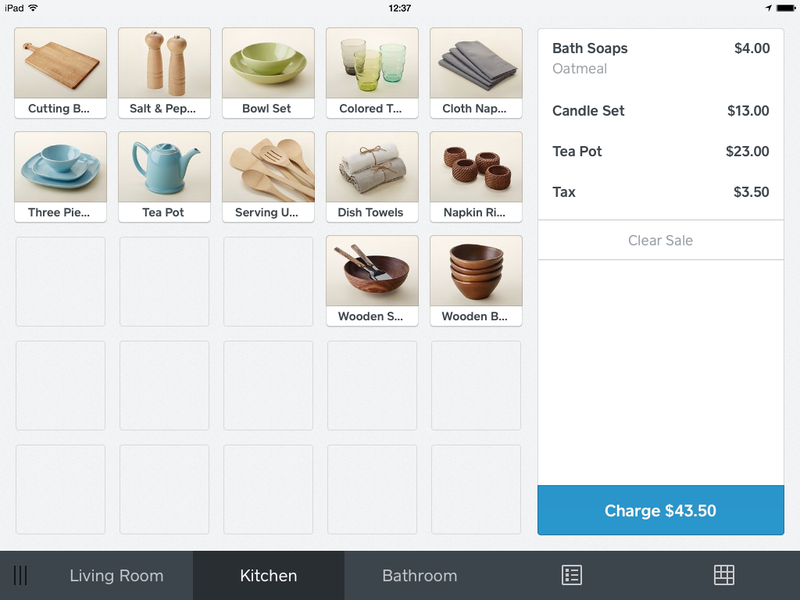 From the Library view in the Square Point of Sale app, press and hold an item name in your list. An Item Details screen will open to allow you to view all of the item details, including the full description and full name. From the Item Details screen, you can add the item to the cart or close it and select another item. If your customer has a chip card or they’d like to pay with contactless (NFC), you’ll need to use a different Square Reader that accepts these payment types. If you experience any Internet connectivity issues, enable Offline Mode to accept payments without a connection.